The footwear industry in Busan has been a ‘symbol’ of local traditional industries since the 1930s and has continuously developed with high-quality footwear products and components as a center of the footwear industry in Korea. The host, Footwear Industrial Promotion Center, is striving for the sustainable development of the footwear industry by establishing a global buyers network, facilitating R&D on core shoe materials/components, setting footwear evaluation standardization and certification system, establishing the High-tech Footwear Herb Center, training the footwear industry workforce and establishing the K-shoe Center, in which the BISS is at the center. Facilitating B2B trade in the business: It is the only exhibition in Korea where footwear professionals gather in one place. When participating in the BISS booth, business meetings with footwear manufacturers, components companies, import/export companies or distribution companies are available for future business. 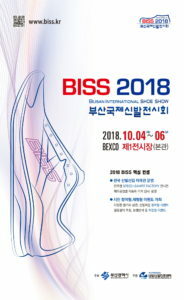 Top search results at Korea’s major portals: When participating in the BISS, support will be given for PR such as exhibitor’s showcase, featured articles on the BISS entry, and keyword search result in related categories. Korea’s footwear products such as high-quality, high-performance footwear products/materials/ shoemaking machines can be compared in one place, and support for business matching with proper footwear companies is available through various buyer support programs. There will be a variety of company-specific events including a footwear brand fashion show and footwear biomechanics experience. Visitors can watch concurrent events of the Busan Fashion Week(Pret-A-Porter fashion show) and the Korea Int’l Technical Textile Exhibition in the Exhibition Center 1, BEXCO. In addition to providing vivid information through trend seminars or lectures by prominent footwear professionals, the harmony and information exchange will be promoted in the footwear professionals, and the Korean Footwear Professional Meet & Greet will be held for global networking with invited VIP buyers.